Welcome to ﻿On THE Bench﻿, where you will find my most recent news and updates! 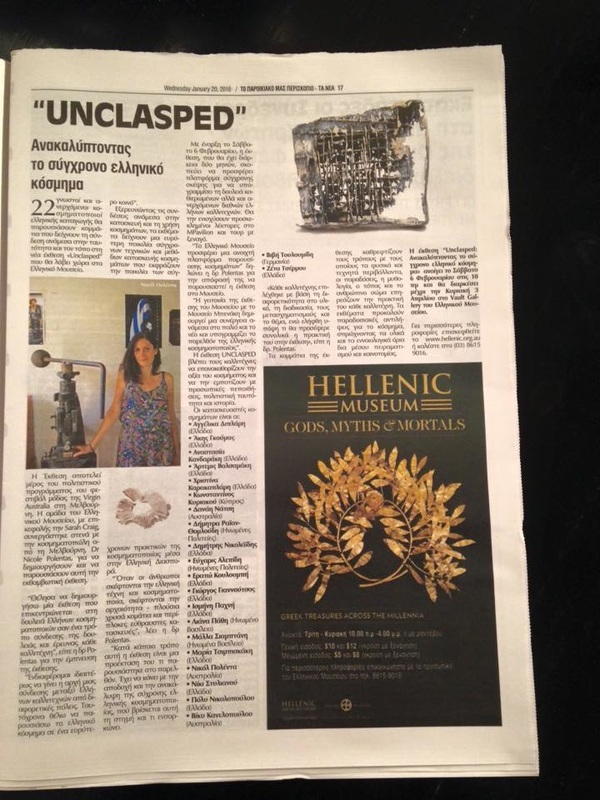 Currently showing work @ the Hellenic Museum in Melbourne! 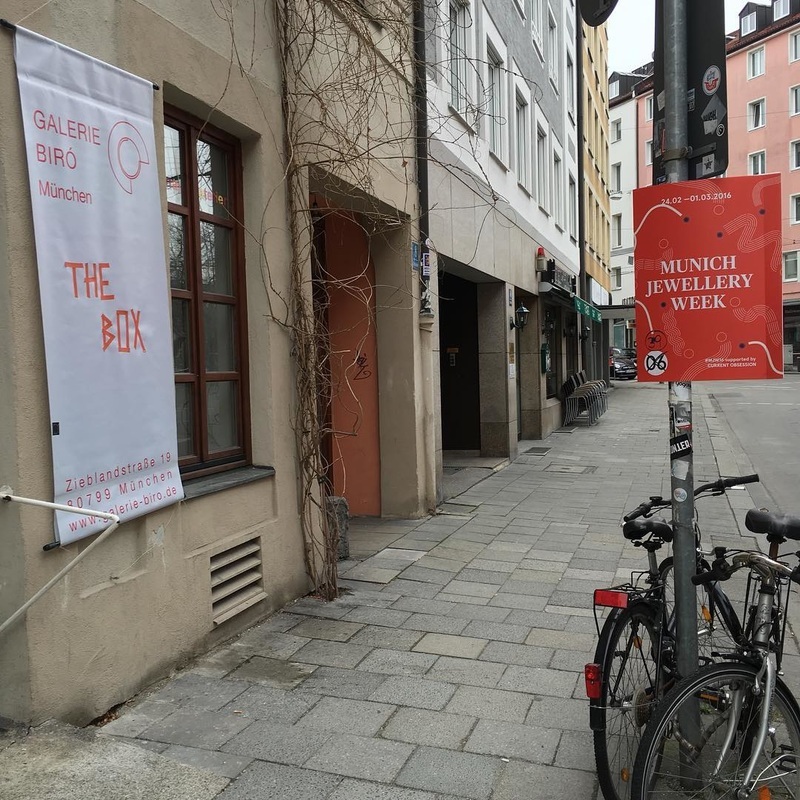 Recently showing @ Jewellery week in Munich Germany with Platforma and Galerie Brio jr. I had the most AMAZING time with the Department of Art at UTEP and ALL of my fantastic students in the metals and jewelry area. I am sad to leave this truly magical place but excited for the future! In 2015 I was invited to the ECU metals symposium to demonstrate hollow concrete forming techniques. Thank you to everyone at ECU for doing a TOP NOTCH job! I will for sure be back next year! Super excited to be presenting an artist lecture at Texas Tech Metals Symposium ! All Star Line up! 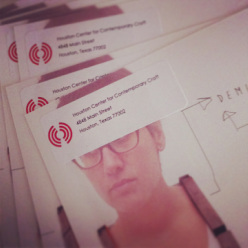 In August 2014 I concluded my 12 month residency @ the Houston center for Contemporary Craft. For more information about the residency please visit the HCCC website! We had such a great time hope to come back soon for another! Finally catch my breath! 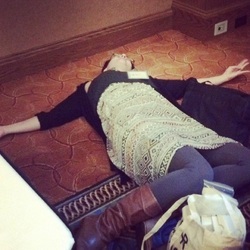 I had such a great time at the SNAG conference this year! the programing featuring Sofia Bjorkman and Mirjam Hiller was exceptional and truly inspirational! I'm a Juror! 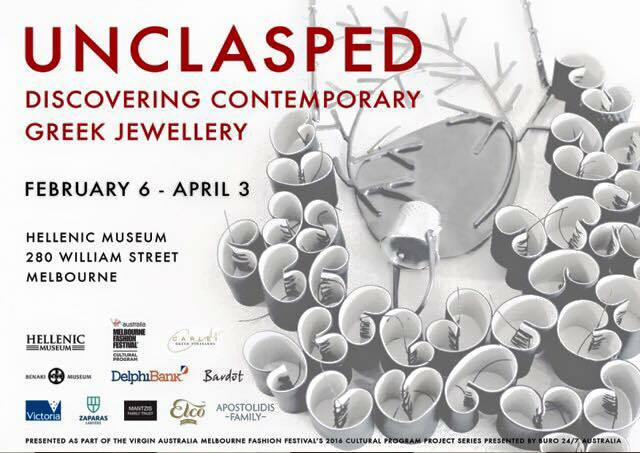 So pleased to announce my participation in the 2014 RDA grants programing. Below is information about the Grants program. 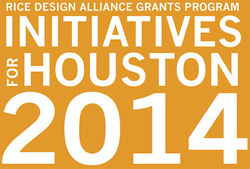 We are happy to begin accepting applications to our 15th annual grants program for students and faculty of the Rice School of Architecture, the University of Houston Gerald D. Hines College of Architecture, the School of Architecture at Prairie View A&M University, and the Department of Urban Planning and Environmental Policy at Texas Southern University. The Rice Design Alliance will make separate awards of up to $5,000 each to a student winner(s) and a faculty winner(s). Our Initiatives for Houston grants program focuses on Houston’s built environment, its history, present condition, and future development. A variety of regional projects are considered, including historic research, speculative studies, problem-solving and planning projects, and documentary studies of the conditions of the city and its architecture. Proposals are evaluated for their potential to make a significant contribution to our understanding of the city and/or the region. Projects must describe a dissemination component, which can be in the form of a paper or manuscript, exhibit, video, or other presentation. In addition, the results of the project could be presented by the grantees in a public lecture or published in Cite: The Architecture + Design Review of Houston. Awards of up to $5,000 are available for projects to be completed in one year. More than one proposal in each category, student or faculty, can be funded. Past award-winning proposals are available for review in the architecture libraries of the participating schools. Our guest jurors this year: David Calkins, Regional Managing Principal, Gensler; Kristi M. Grizzle, Senior Associate, Walter P Moore; Willard Holmes, Associate Director Administration, The Museum of Fine Arts, Houston; Andy Icken, Chief Development Officer, Office of the Mayor, City of Houston; and Demitra Thomloudis, Adjunct Instructor, Houston Community College. LA FRONTERA is coming to HOUSTON! Very excited to see my work and the entire show in person! Houston Center for Contemporary Craft is proud to present La Frontera (The Borderlands), an international exhibition of contemporary jewelry that explores the physical space where the complex relationship between Mexico and the United States is most evident. With startling results, 90 artists from the U.S., Mexico, Europe, Australia, and Latin America explore the underlying currents of the border environment within geographic, political, social, cultural, and ideological contexts. At 1,969 miles long, the U.S.-Mexico border has the largest number of legal and illegal crossings in the world. An estimated 11.2 million unauthorized immigrants currently live in the United States, according to studies by the Pew Hispanic Research Center. Concerns about illegal immigration, combined with the increase in drug trafficking and violence, instigated the controversial construction of the border fence, which is now 700 miles long and counting. This timely exhibition occurs as the U.S. Congress is considering an immigration reform bill that would extend the Border Wall an additional 700 miles and add another 20,000 U.S. Border Patrol agents. Still, the border is a vibrant and vital corridor, and its extremely porous nature allows not only the passage of illegal arms and drugs but also valuable ideas and projects, families and culture. Inspired by the border’s tumultuous environment of deserts, mountains, rivers, and flow of diverse nationalities, the artists of La Frontera created 150 pieces of contemporary jewelry. The materials range from canvas, polyester, porcelain, water bottles, photos, and paint to more precious ones, such as steel, copper, silver, and gold. Cristina Celis, one of the participating artists from Mexico, explains her necklace, Dactilar, made of porcelain, gold, and silver: “The practice of erasing the information on fingers is common. Knives, acid, fire, and even surgery are some of the mechanisms that undocumented immigrants are turning to in order to erase their fingerprints and avoid deportation.” The dangers of the border are also explored in U.S. artist Julia Turner’s brooch, Three Days Walking (Mourning Brooch), which features red dots that refer to the NGO Humane Borders’ map identifying the places where people die while attempting to cross the border. 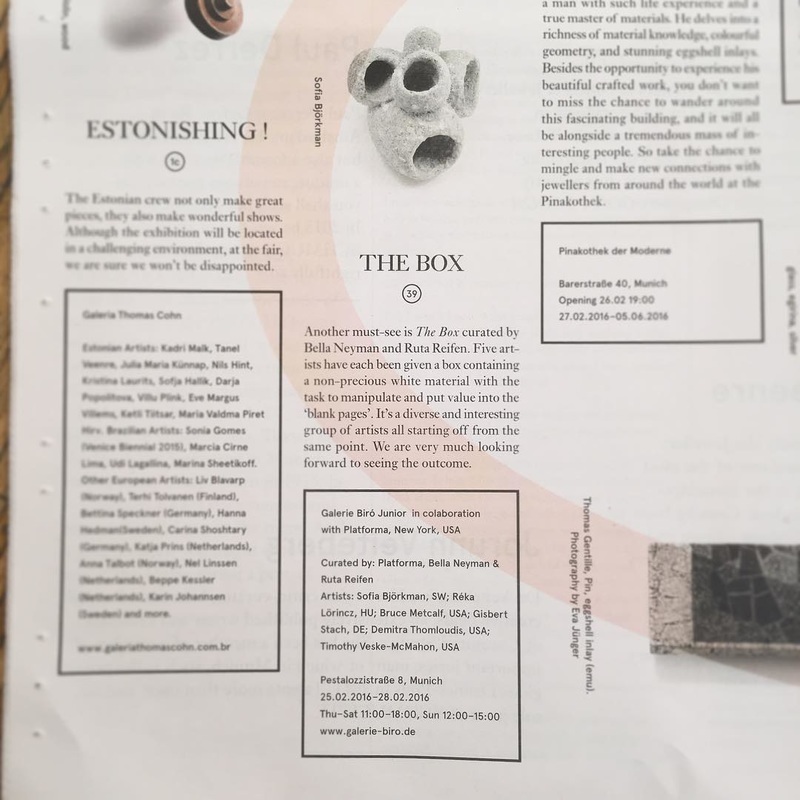 La Frontera was curated by Mike Holmes and Elizabeth Shypertt, founders of Velvet da Vinci gallery in San Francisco, CA, and Lorena Lazard, from Mexico City, who has been a practicing jewelry artist for more than 20 years. The exhibition opened at the Franz Mayer Museum in Mexico City in June, 2013, to wide critical acclaim from press and visitors. Above: (1) Cristina Celis, “Dactilar,” 2013. 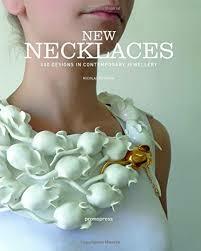 Neckpieces. Modeled high-temperature porcelain, 24k gold leaf, silver. 3.2 cm x 5.1 cm with different length chains. Photo by Francisco Velázquez. (2) Beate Eismann, “Landscape III,” 2012. Brooch. Copper, gold. 7.1 cm x 12.1 cm x 1.8 cm. Photo by the artist. (3) Nicolas Estrada, “Suffering,” 2013. Necklace/Collar. Silver, quartz, wood, iron. 8 cm x 8 cm x 2.7 cm. Photo by Manuel Ocaña Mascaro. (4) Tom Hill, “Milagros: Black-spotted Newt,” 2013. Pendant. Copper, enamel. Approx 7 cm x 12 cm. Photo by the artist. (5) Marta Hryc, “Symbiomorphosis: Libert,” 2013. Pendant. UV hardened resin, silver. 8.2 cm x 2.4 cm x 3 cm. Photo by Emil Stankiewicz. (6) Kevin Hughes, “Untitled,” 2013. Necklace. Plastic water jug, duct tape, silver. 10.1 cm x 15.2 cm x 4.4 cm. Photo by the artist. (7) Judy McCaig, “No-Man’s Land,” 2013. Brooch. Steel, silver, tombac, perspex, paint, Herkimer diamond, taramita. 8.8 cm x 12.6 cm x 1.5 cm. Photo by Eduard Bonnin. (8) Edward McCartney, “If Bullets Were Jewels,” 2010. Brooch. Reclaimed sterling silver and 14k gold, cubic zirconia, reclaimed red gemstone. 8.8 x 4.8 x 1 cm. Photo by Jack Zilker. (9) Nancy Moyer with Mark Clark, “Border Fence Series: Border Scenarios (Mexican View),” 2013. Reversible neckpiece. Sterling silver, digital prints, glaze, steel, rubber cord. 7cm x 24 cm x 1 cm. Photo by the artist. (10) Ramón Puig Cuyàs, “Silent Conversations Beside the Wall III,” 2012. Brooch. Nickel silver. 5.5 cm x 11 cm x 2.5 cm. Photo by the artist. (11) Kerrianne Quick, “Vicente Carrillo Fuentes alias ‘El Viceroy,’ ‘El General,’” 2013. Key Fob. Leather, steel. 10 mm x 5 mm x 0.5 mm. Photo by the artist. (12) Alejandra Solar, “Murmullos 1,” 2012. Brooch. Onyx, slate, photo transfer, silver. 7.2 cm x 10 cm x 0.7 cm. Photo by the artist. (13) Maria Solórzano, “3185cm,” 2013. Necklace. Silk thread, ceramic. 0.1 cm x 31.85 cm. Photo by Paola Lambertini. 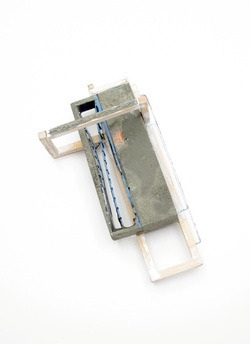 (14) Olga Starostina, “The End of a Desperate Journey…,” 2013.Brooch. Recycled aluminum, copper, leather. 10.2 x 25.4 x 1.2 cm. Photo by Cara Murray. (15) Rachelle Thiewes, “Slipstream,” 2013. Necklace. Steel, auto paint. 28.5 cm x 30.5 cm x 2.2 cm. Photo by the artist. (16) Demitra Thomloudis, ‘Reconstructed: Framed,” 2012. Brooch. Cement, sterling silver, resin, steel, pigment, thread, duck tape. 8.9 cm x 6.4 cm x 4.4 cm. Photo by Seth Papc. (17) Julia Turner , “Three Days Walking” (Mourning Brooch), 2013. Brooch. Steel pins, vitreous enamel, steel, wood. 5 cm x 5 cm x 0.7 cm. Photo by the artist. (18) Martha Vargas, “Sueño y Realidad,” 2012. Choker. Sterling silver. 24 cm x 15 cm x 1.5 cm. Photo by tempusdesign.com.mx. This week was packed with critical craft! Posted is a link below of the lecture and events that went on. 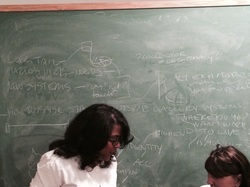 Behind Namita is our chalkboard filled with topics from our breakout sessions. 4 p.m. - 6 p.m. Presented by Namita Gupta Wiggers, director and chief curator, Museum of Contemporary Craft, Portland. The past 10 years has witnessed significant shifts in how craft is examined, interpreted, documented, and practiced. This lecture explores the shifts and developments in the field of craft, with a specific focus on exhibitions and programs at Museum of Contemporary Craft in Portland, Oregon. Through an examination of connections between the decorative arts and academic publishing, DIY and museums, the marketplace and education, this lecture examines how and why craft resurfaces periodically as a relevant topic in contemporary culture. As the craftscape broadens and morphs, what has shifted—and what remains stubbornly unchanged—during the past “Ten Years Gone”? 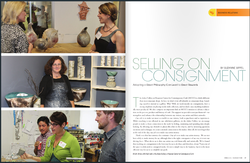 Suzanne Sippel from Asher Gallery @ HCCC wrote an amazing article in the Museum Store association magazine. I am very lucky to have her representing my work and to have my studio featured in her article!